I love good food...there I said it! I am no pro or ultimate foodie, but I am a humble cook who will save up to find the ingredients on sale, discount, or clearance and then make a tasty meal for my family and myself!! 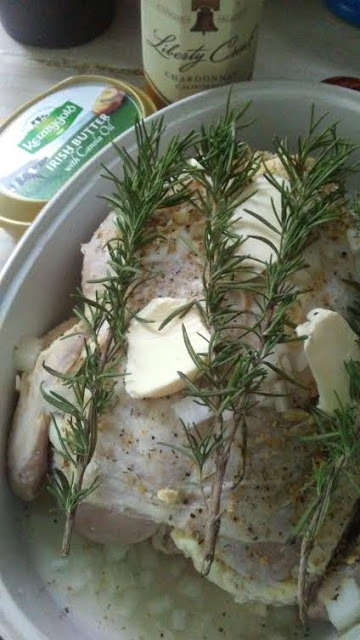 One of the latest dishes that I have recently cooked is this lemon rosemary chicken in which I used fresh rosemary, Kerrygold butter, lemon, onions, poultry seasoning, and Liberty Creek Chardonnay (White Wine in a Box...gasp!) for cooking which came in the right amount for this dish! 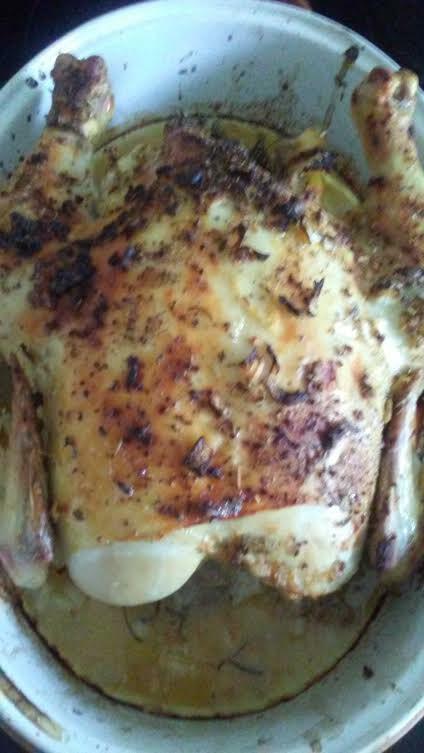 Everything you love in good Spring or Summer inspired roast chicken tasted so good in the meat and tasty lemon, savory broth! The next dish I used Kerrygold butter in cooking some organic/sustainable sourced frozen shrimp with slices of garlic bread and The Fresh Market cocktail sauce! 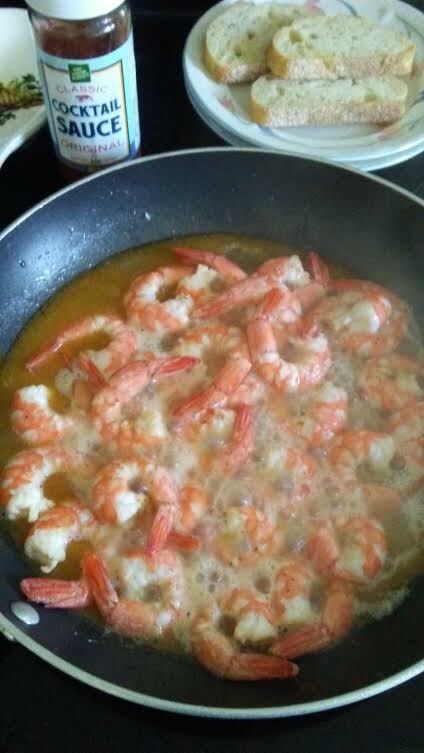 My son love eating seafood and this made a quick and simple lunch on warm Spring day!! And this concludes my latest foodie updates for now!